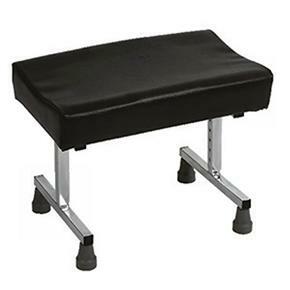 Adjustable Padded Footstool Without Castors Non-Slip. This padded leg rest/footstool can be adjusted in height and tilt angle using independent spring button adjustments. The base is made from chrome plated steel tubing and has non-slip rubber feet.